Coming in 2019 to Golden, Colorado! 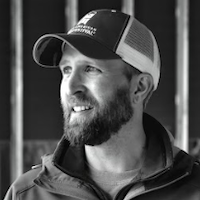 Over Yonder Brewing is a craft brewery under construction. Over Yonder Brewing Company (“OYB”) aims to produce a high quality, unique, rotating craft beer lineup that pleases all palates and delivers them in an inviting, refreshing, laid back atmosphere. Our brewery is being developed in Southwest Golden, a location west of Denver tucked in the Rocky Mountain foothills near I-70, a major interstate that leads to an abundance of outdoor recreation all year round, and the world famous Red Rocks Amphitheater. OYB’s core product lines will include a variety of New England IPAs, Citranade (West Coast IPA with flaked oats), Witbier, Coconut Porter, and seasonal rotations which will feature fruit beers, kettle sours, a barrel aging program, and other adventurous and delicious brews. So whether you're traveling up to Colorado's Rocky Mountains or going to see a concert at Red Rocks Amphitheater we hope you'll pop over yonder to enjoy some delicious local Colorado craft beer! Looking to get in touch with us? Please fill out the form below and we will get back to you ASAP. Jason Bilodeaux is a Colorado native, Co-Founder, and Brewmaster of Over Yonder Brewing Co. After many years of indulging in what the craft beer scene had to offer, he decided to try his hand at home brewing. He immediately fell in love with the science and the process as a whole of brewing beer. It became a passion and an obsession to learn all aspects of brewing and tasting beer. He has won several home brew competition awards over the past decade and has participated as a judge. With the confidence built from winning those medals and constant positive feedback, high praise, and encouragement from friends and family, he now wants to share that passion with the rest of the community! Aside from beer, Jason loves music, going to shows, and most enjoys being outdoors skiing, hiking, or camping with his lovely wife, Jessica Bilodeaux, and two dogs, Spinner and Topeka. His career boasts an extensive background in the printing industry, most recently within the Ball Corporation Graphics Department which allows him to take part in the creative aspects of craft brew canning design. Ashleigh Bilodeaux, sister to Jason, is a Colorado native and Over Yonder’s Head of Marketing, Sales and Co-Founder. Her creative approach to marketing and sales has earned her numerous industry awards and notable press coverage. She’s also the proud Co-Founder of BrewTV, mountain lover, craft beer geek and outdoor enthusiast who enjoys hiking, surfing, and rock climbing. She received her Bachelors of Science in Finance from the University of Metropolitan Denver (MSU). Jessica Bilodeaux is a New York native who moved to Colorado in 2001. Later that year, she attended the Great American Beer Festival for the first time where she met her future husband, Jason Bilodeaux, and her passion for craft beer blossomed. Jessica is a Phish-head who can be found going to shows, jamming to great music, hiking, cooking healthy vegetarian meals, and enjoying life in her mountain home with Jason and their two dogs. Jessica holds a Bachelors of Arts in Psychology from The University at Buffalo and her career includes premium insurance auditing and supervisory roles in social work entities. Jessica is Over Yonder Brewing Co.’s Controller and Co-Founder. Quality, integrity, people, sustainability, and community make up the culture of Over Yonder Brewing Co. We acknowledge and appreciate the role of our employees in making our company what it is today. Our unique benefits include beer bucks with every paycheck plus a myriad of growth and development opportunities. See our current openings below.